LORIX One – The LoRaWAN Gateway for all IoT Projects! Have you considered exploring IoT technologies? Having received our first shipment of the LORIX One LoRaWAN Gateway just last month, it is the ideal gateway for all IoT projects. 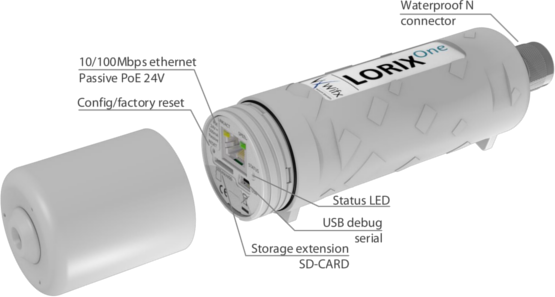 Available for either indoor or outdoor use the LORIX One LoRaWAN gateway can be simply integrated via the cloud to support various popular networks such as The Things Network and LORIOT to transfer data gathered from deployed sensors within a 10km range in rural areas or 3km in urban environments. If you’d like to discuss IoT project ideas or have suggestions of new IoT products you’d like to see us supply, please call 01484 840048 or email contact@provu.co.uk.